Just because it’s trash doesn’t mean it has to look like it! 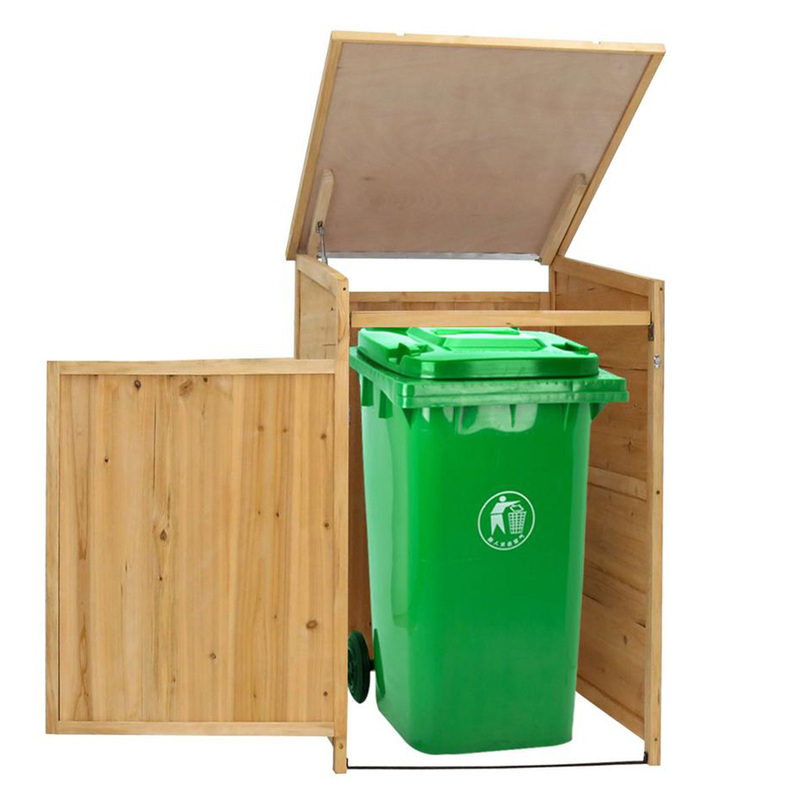 Keep the stench from your outdoor trash bins at bay by tucking them inside an enclosed wooden trash shed. The look and smell are much more appealing than stacked up containers overflowing with garbage. Check out these must-read DIY tips for building a shed. Transform a lower kitchen cabinet into a hideaway for your trash with an adjustable door mounting kit! Many are installed simply by mounting to the cabinet floor using screws. Look for a thick frame construction and heavy-duty ball bearings for a sturdy and seamless piece of construction. Check out this collection of handy, helpful DIY cabinet rollouts for your kitchen and bathroom. 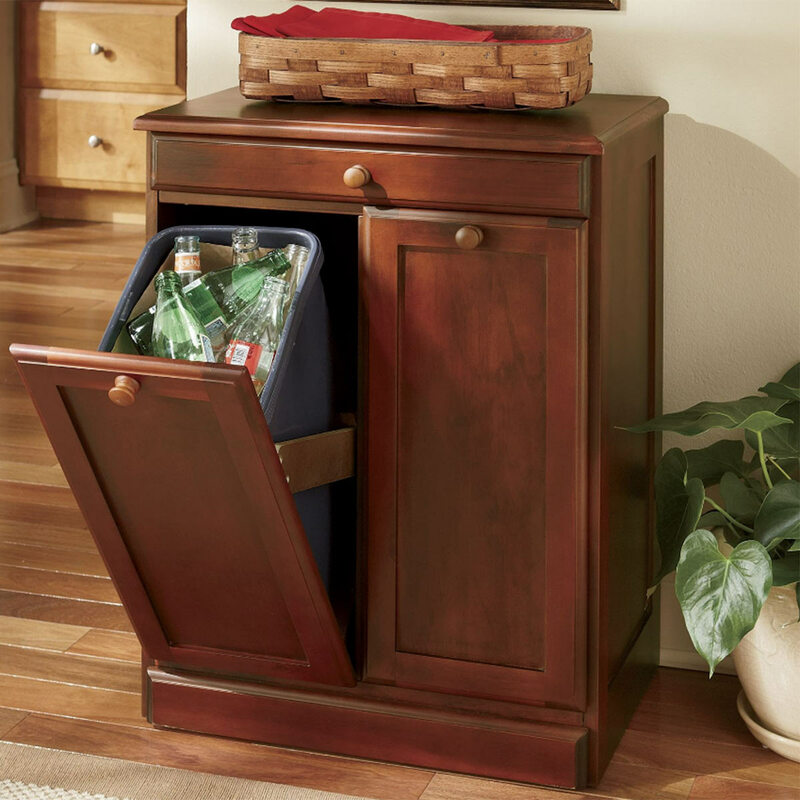 Tilt out trash bins are clever concealers, and this freestanding cabinet can even double as a little extra counter in your kitchen. 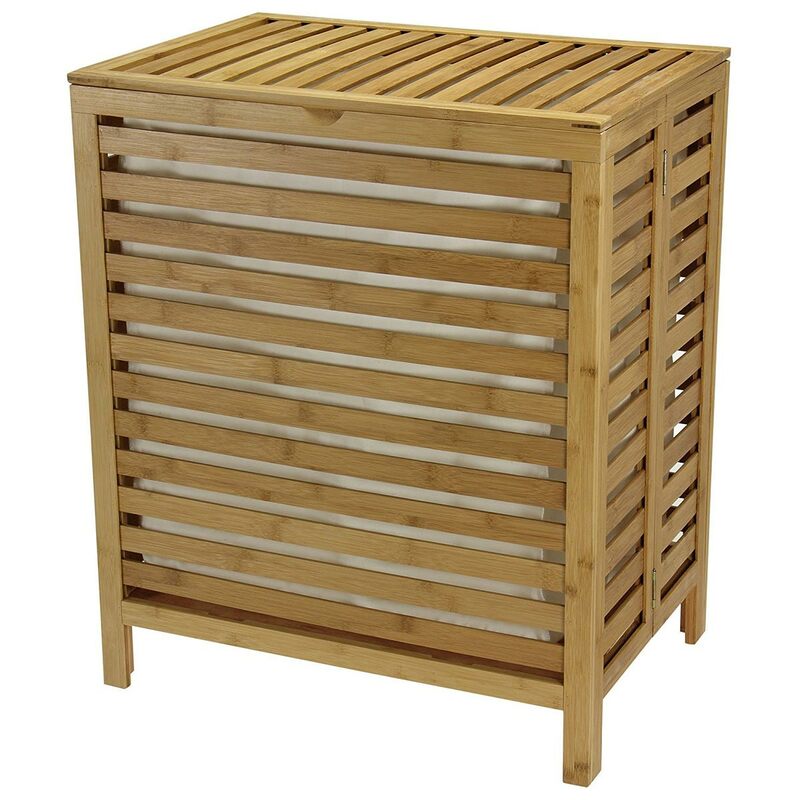 Usually crafted of wood, these stand-alone structures can be placed against a wall, so they don’t get in the way. Speaking of concealing things, check out these creative ways to disguise a range hood vent. If you landscape around your outdoor trash bin, you can keep it accessible and yet out of site from the backyard. Here, a lattice panel and several trees discreetly hide the trash. If hiding the outdoor trash is only a concern when the weather is warm enough to be out in the yard, you can repurpose large indoor floor plants as trash bin hiders and then bring them in when the temps drop. Be sure to weight down the pots so they don’t tip over when it’s windy. Check out this list of 80 old items that are great for repurposing. 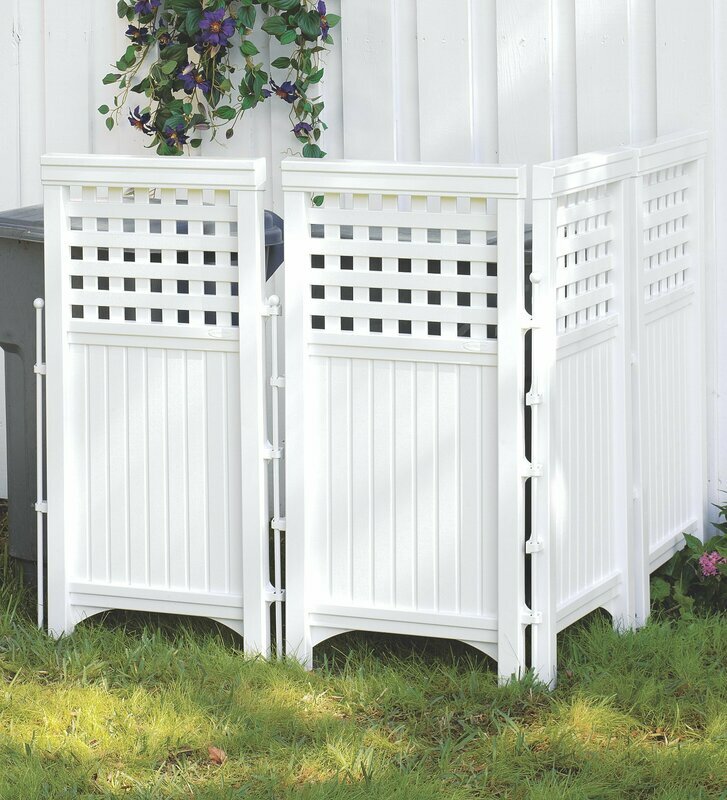 For your outdoor row of trash bins, keep things classy and stick them behind a screen. Simply tuck your bins against the side of your house, and wrap a big privacy screen around it. If you choose lattice, you can transform it into a living wall of greenery! Check out this DIY hose reel hideaway that uses a lattice screen covered in vines to hide that nasty garden hose. If your pantry is more like an exposed closet in your kitchen, do yourself a favor and tuck your dried goods, cleaning supplies and trash bin out of sight by simply installing a breezy curtain. 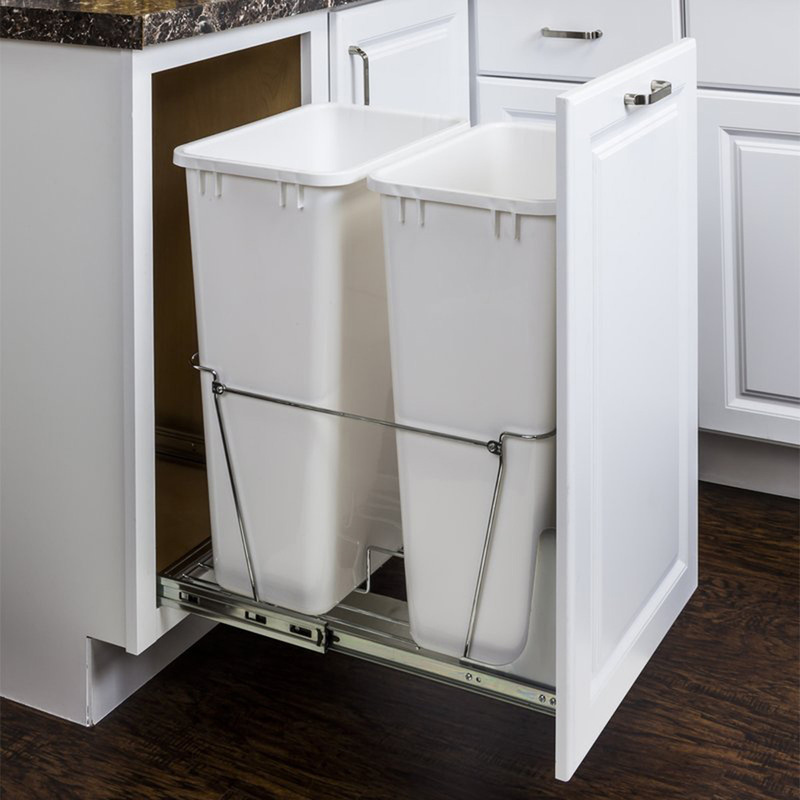 Not only will it disguise your trash bin and pantry essentials, but it will add a sleek look to the space overall. Once you’ve got your curtain up, check out these clever kitchen cabinet and pantry storage ideas. This option is equal parts DIY and BIY (buy it yourself). 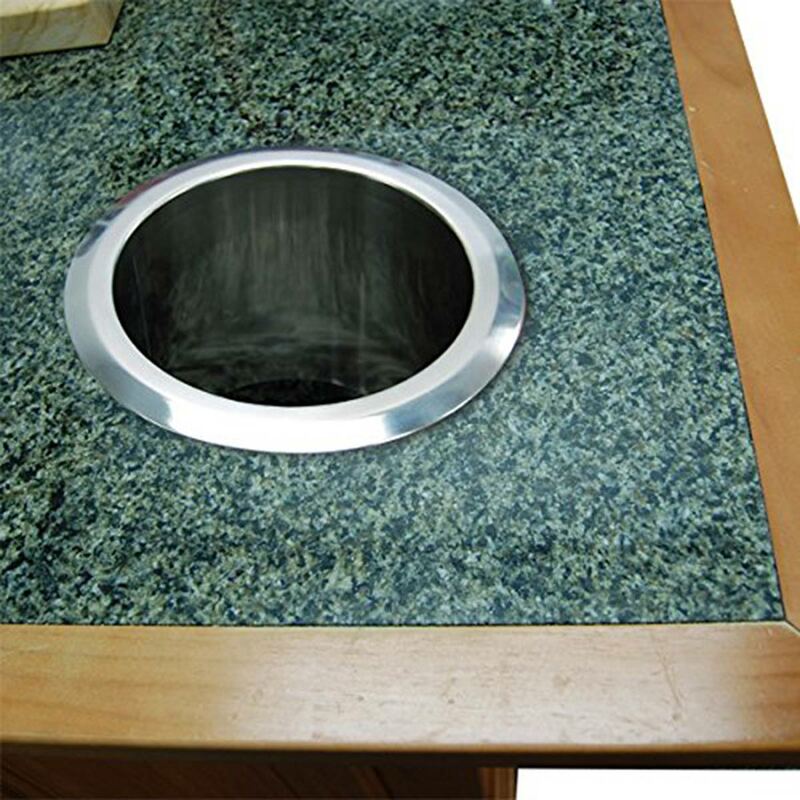 Once you buy the stainless steel chute, cut the 6-inch diameter hole in your countertop and install the chute. Make sure your trash bin stays in place directly below the chute or you’ll have a big mess! You should also check out this trash bag dispenser you can install inside a cabinet. Speaking of hampers, take a look at these 20 small-space laundry room organization tips. Give your kitchen some rustic flair by taking an old oak wine barrel and storing your trash can in it. If you want to really DIY, keep the top of the barrel and install a small door with a hinge to keep a lid on your trash. One of these 10 inspiring outdoor bar ideas repurposes a wine barrel as well!